OSA Soccer Academy introduces its new Study Abroad Soccer Experience, a summer camp for boys and girls ages 14-18. 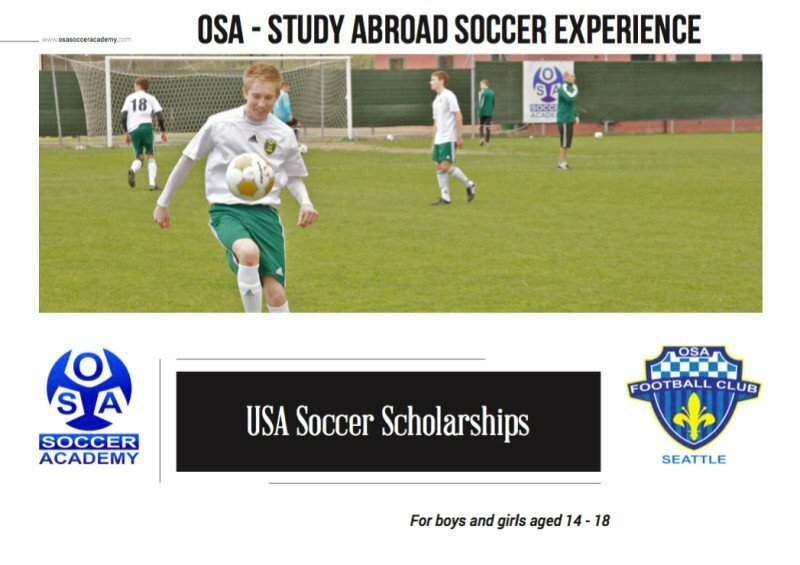 Thanks to the OSA Study Abroad Soccer Experience, players will have the opportunity to go on to play for OSA FC’s adult men’s or women’s teams or go on to play university or professional soccer! You could be selected to play for a University or a College team and receive a scholarship! OSA’s summer camp is not just soccer, activities area also organized to make the experience fun, help improve English language skills, meet new people and experience another culture. OSA’s goal is to increase opportunities and advance the game of soccer by connecting players,coaches, clubs and the community. Top caliber soccer training is offered to players using an Italian methodology created and tested by professional youth development academies like ACF Fiorentina! Don’t miss out on this opportunity! Contact us via e-mail at info@osafc.com to request more information or download the brochure!